The power of QlikView caching - The Qlik Fix! The Qlik Fix! Today I read a very interesting blog post about the QlikView Cache by Qlik’s Henric Cronström (HIC). In the post, Henric gives a high level overview of how caching is used within QlikView to speed up front-end response times. 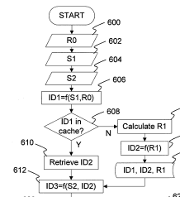 (for a more in-depth explanation, have a look at the patent) Henric also explains some interesting peculiarities about caching, one of which busts a myth that I hear repeated very often (“running macros clears the cache”). I highly encourage you to read Henric’s post. Of course, this post isn’t just a me-too article. Rather, I want to show you a neat thing that will let you experience the power of caching in QlikView for yourself. Did you know that you can actually turn off caching? Note: this article is just for informational purposes, fun and to demonstrate the awesomeness of caching. You should never, ever use this setting in your regular QlikView environment. Got it? OK, let’s see how to turn off caching! The option to disable caching can be found under the not-so-secret-anymore secret settings menu. This menu can be opened by opening the About QlikView dialog (Help | About QlikView) and right-clicking on the QlikView logo in the lower left corner. This opens up the settings menu (shown below), which contains all sorts of interesting settings (like the Doctor Controls) that you probably shouldn’t mess with. 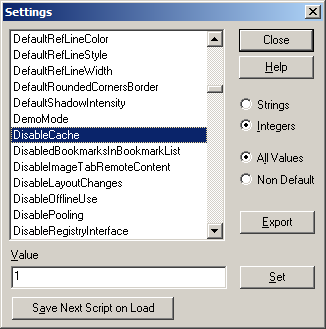 Find the option labelled DisableCache and set the Value field to 1. Press Set and Close and restart QlikView. Now QlikView doesn’t use caching anymore and the difference is very noticeable. I tested this with a 50 MB QVW (around 300 MB in memory) that normally has sub second response time. Without caching, every selection took more than 30 minutes to calculate. That’s how awesome caching in QlikView is! If you decide to try this yourself, don’t forget to turn caching back on once you’re done. Extra tip: one useful setting in the settings menu is SuppressSplash. When the value is set to 1 this will disable the splash screen that is shown when QlikView starts, saving you a few seconds every time. Posted on April 15, 2014 by Barry Harmsen. This entry was posted in General and tagged cache, settings. Bookmark the permalink. That DisableCache option in the QV Desktop does indeed, like you say, seem a great way for seeing how the cache affects performance. Now come some possibly ignorant questions. a) Does that option just affect the active QV Desktop session ? b) Does the setting persist if QV Desktop is closed / restarted ? c) If the option is set and a qvw saved, is this DisableCache option saved within the qvw ? 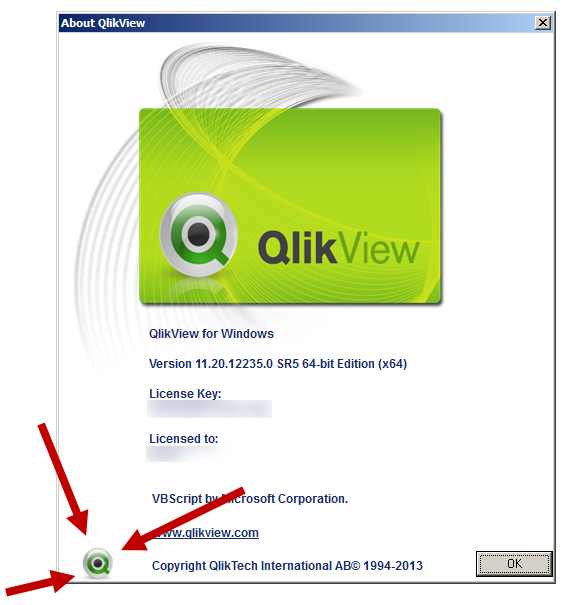 It’s an application setting, so it applies only to QV Desktop and persists if you restart QlikView. It’s not tied to the QVW. Another useful setting in the not-so-secret-anymore secret settings menu is the “ClearCacheOnHlpRls”. This I use myself quite often. It gives you a way to force a “Clear cache”. If you set this to 1, the help questionmark in the toolbar, as well as the “Help -> Contents” command will no longer launch the help, but instead clear the cache. Useful for debugging purposes. Further, if you meddle in the secret settings menu: remember that all these settings are unsupported and may disappear in the next version. but it showing web-mode only.. IF Again i turn off the DisableCache, it showing..